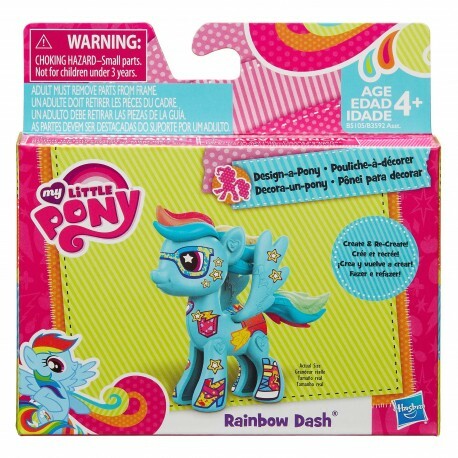 Creating a pony is a snap with the Rainbow Dash Design-A-Pony Kit! It’s easy to pop the Rainbow Dash parts out of the frame and snap them together. 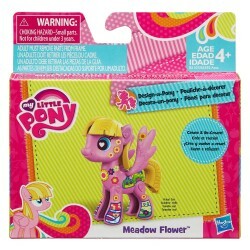 The pony gets more beautiful with hair and a tail, and stickers for the final, fancy touch! 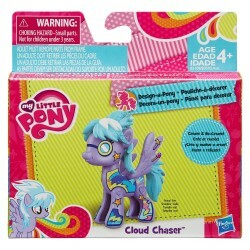 Mix it up with parts from other ponies (sold separately) for the coolest combination ponies! There are so many possibilities to create and re-create with the Rainbow Dash Design-A-Pony Kit! •Includes 1 pony body (2 pieces), hair, tail, pair of wings and sticker sheet. 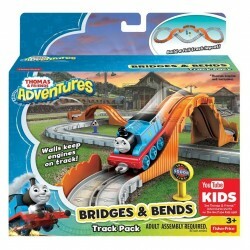 • Adult must remove parts from frame.